The best available talents for all your telecom requirements! Telecom industry is growing by leaps and bounds. New players are making entry almost every few months. This industry plays a vital role in the world’s economy. As such the demand for best talents is also on the rise. To meet the ever growing expectations of this telecom recruitment segment, Alliance Recruitment agency has made a foray in this sector. Our talented pool of telecom recruitment consultants understands the pulse of the market and knows how to tap the best resources to fit the demands that make up the market. Our telecoms recruitment specialists have a huge databank at disposal that is customized to meet the need of the hour. With our foray into Telecom recruitment, we have diversified our experience in another specialized sector that has become a part of the ever changing market. The launch of 4G and other special internet plans at cost effective rates led to a scarcity of good resources in the market. To meet the requirement of telecom giants, we as the telecoms recruitment agency offer senior and middle-level talent to successfully meet your company requirements. Telecoms Recruitment Specialists – Why us? The requirements of telecom industry are on the rise. Our Telecoms recruitment specialists survey the market and create a pool comprising of the best talents available. We have divers sections of database catering to the junior, middle and senior level requirements of this industry. If the current opening in your company requires fresher’s for the job, we can cater to this as well. Our recruiters from time to time, browse through the different job portals to update the data bank. We also carry out an individual market survey to add resources to our list. Once you provide us with the job description along with the deadline, our recruiters get on the work immediately. For a hiring agency to be successful, it becomes vital to know the market they deal with. Telecom industry is age old but the demands for smartphone service providers and the diverse internet plans are new. As such this has led to a huge demand for qualified employees who will be able to cater to the needs of this industry. To meet the pressures and being able to deliver requires potential. Regular, common employees will not be able to survive. It is here that we make our presence felt. Our Telecom recruitment consultant’s sticks to the job description provided. We carry out several levels of screening before the resume is processed to your company. This high end screening makes all the difference. Having forayed into the telecom industry, we make sure that all the candidates processed by us meet your specific requirement. The screening process is divided into several levels. 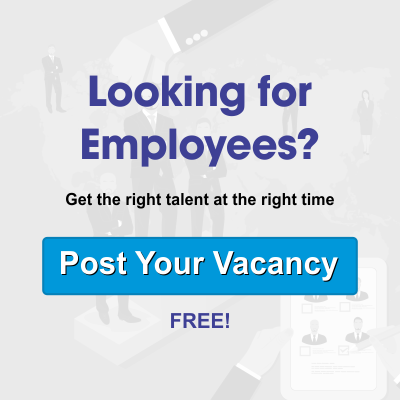 Add your content…Resume sorting: As a Telecoms recruitment agency our consultants go through the job description provided to us. We then sort out the resumes matching the profile. Telephonic interview: once the candidate list is prepared, our consultants call them up and conduct a telephonic interview to find out whether the candidate has all the skills required by your company. Resume processing: the final list of candidates have the name of those candidates who have cleared the telephonic interview conducted by us. We process these resumes to your company for the final round of interview. Depending on the outcome of the interview, the candidates have informed the results. Our job is not over with the mere processing of relevant resumes. We offer end to end solutions. When the final list of selected candidates is handed over to us, our consultants ensure the entire process is carried out smoothly. We follow up with the candidates, collect the required documents, and carry out a background search. In fact, our consultants remain in touch with the candidates till they join your organization. In case, any of them leaves before 3 months of joining, we will provide you with a replacement candidate, free of cost. Give us a call to know more about the hiring process. To avail our different hiring services, and to find out about the pricing visit our website or call our customer care executives today.